One afternoon when I was in college, classes were getting characteristically dull, so I decided to step into the library for my weekly random stroll through the stacks. There, lying on the floor and covered with dust and neglect, was a book named "Disturbing the Universe", by an author I had never heard of before. Taking the book home, I was almost startled by the sheer range of the mind that wrote it and tore through it in one night. There was talk of nuclear weapons, and extraterrestrials, and T.S. Eliot, and number theory, and Yeats, and a life-changing ride with Richard Feynman, and space colonization, and growing up in wartime England. But it wasn't just the intellect that shone through. The prose flowed like silk, often glowing with eloquence, humanity and poignancy without sentimentalism. It ranged across the entire landscape of science, technology, politics and history, lovingly presenting ideas both big and small. How could a scientist write like this? The author also seemed to be friends with some of the greatest scientists of the twentieth century - Robert Oppenheimer, Hans Bethe, Feynman, Francis Crick. 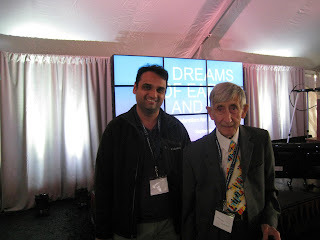 Whoever this Freeman Dyson was, I decided that he must be a very special person. My first correspondence with him was in 2005 when the great physicist Hans Bethe who was Dyson's advisor at Cornell University died at the ripe age of ninety eight. Bethe who was one of the truly great minds and human beings of the 20th century continues to be a hero of mine. I sent Dyson a letter about Bethe which I had gotten published in the magazine Physics Today, and he immediately replied with warm appreciation. Much later when I was living in New Jersey, I realized that Dyson lived and worked only a half an hour or so away from me at the famed Institute for Advanced Study in Princeton. With some trepidation I decided to ask him for an audience. Knowing that even in his 80s he was a busy man who wrote books, traveled around the world giving talks and consulted with the government, I certainly did not expect a quick reply, if at all. In keeping with one of his signature habits, not only did he reply to my email almost instantly but invited me over for lunch and a conversation in his office. So began a memorable correspondence. Like countless friends of his around the world, I soon started addressing him as Freeman. I remember the date - November 10, 2010. The leaves were still changing color as I parked my car and made my way to the brickstone building, struck by the serenity that had drawn Einstein, Gödel, Oppenheimer and von Neumann to the place. I walked into an office on the second floor and saw an elfin-looking man sunk deep in his chair, staring intently at a document on his computer screen. So intently that when I called out his name he did not hear it. The second time I called it out he jumped about two inches in his chair, and I immediately felt guilty about interrupting his reverie. But this was Freeman Dyson after all, a man whose powers of concentration were the stuff of cafeteria banter. Like many others who have met him, I was immediately struck by his slight but impressively energetic frame, honest cackles of laughter, studied powers of concentration and most of all, his striking and intent gray-blue eyes full of endless curiosity and wonder. His brilliance combined with his deceptive frailty made him look like a wizard from an enlightened world. What followed was a uniquely memorable meeting lasting several hours. Talking to him was like taking a random walk around an exotic garden filled with intellectual treats. I struggled to keep up with both his quick stride and his nimble mind as we walked to the cafeteria. Once we got our lunch trays, our conversation ranged over a huge spectrum of topics ranging from politics and family to physics and biology. He was pointedly opinionated but also consummately cordial. I told him about modeling water molecules in proteins, he told me about his belief that it might be impossible to observe single gravitons. I told him about my father's intense love of books which he passed on to me, he told me about his father's notable contributions to music, conceived even as bombs were falling on London. I told him about my sister's family in Tasmania, he mentioned strolling through a forest in Tasmania that was the densest he had seen. Discussions about science were punctuated by warm reminiscences about colleagues and fond stories about his grandchildren - all sixteen of them. 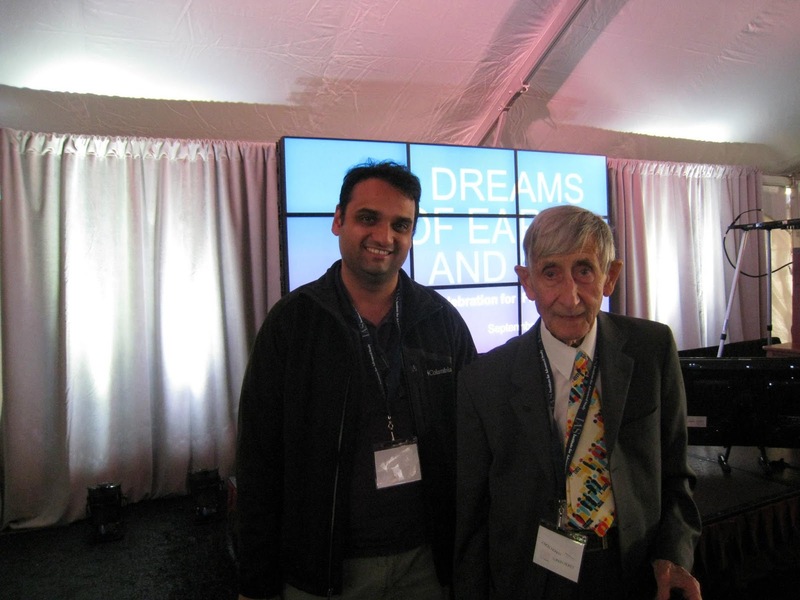 The meeting told me what I had already learnt from his books; Freeman Dyson is one of the most human of all scientists and thinkers, imbibed with an even greater concern for the well-being of humanity as for the mysteries of the universe. By any definition he's one of the great thinkers and polymaths of the twentieth century. He was a founding father of quantum electrodynamics, was elected to the Royal Society at age 30, made important contributions to everything from quantum mechanics to spaceship design, became a professor at Cornell with no more than a B.A. but has received more than twenty honorary PhD degrees, contributed enough as a consultant to the defense establishment to receive the Fermi Award and contributed enough to the dialogue about science and religion to receive the Templeton Prize. He is a mathematician who is as adept at calculating continued fractions and shock absorber stresses as the energy levels in atoms. Even if you consider his purely technical ideas, his range is astonishing; at his 90th birthday celebration, his colleagues spoke of at least half a dozen major contributions in fields as diverse as solid state physics and astrophysics which had opened new areas of research and engaged scores of researchers for a decade or more. At 93 he continues to be active; only two years ago he wrote a controversial and highly cited paper on game theory. He has won every award except the Nobel Prize, and regarding that omission he wryly quotes Jocelyn Bell Burnell, another omitted Nobel Laureate: "It's better that people ask me why I did not win it rather than why I did". What truly sets Dyson apart though is his command of the English language and his understanding and concern for human problems. The prose is spare and simple and yet luminous; as one of the reviews of his book described it, "full of no little blood and fire". These are qualities that are extremely rare among scientists, and especially among physical scientists. Dyson is as equally at home talking about the S-matrix and about diplomacy with the Soviets as he is mulling over T. S. Eliot's "Murder in the Cathedral". In his writing he offers at least as many original ideas in various fields as in his research. His vast imagination roams across ideas ranging from clever to preposterous and yet semi-serious; over the years he has invented Dyson spheres (featured in an episode of Star Trek) and has proposed that life could thrive better on comets than on distant planets. He has penned endearing - and enduring - portraits of his close friends Richard Feynman, Robert Oppenheimer, Hans Bethe and Edward Teller and demonstrates a rare grasp of the value of human imperfection. His reviews of books for the New York Review of Books are simply an excuse to hold forth on the human condition. In other writings he has shown himself sympathetic to religion, thinking it to be as necessary to hope and survival as the tools of science. Unlike the so-called "New Atheists" Dyson believes that religion, with all its evils and flaws, has demonstrated itself at the very minimum to be a useful glue that binds human beings to each other in times of adversity. He is a non-denominational Christian who values religion for the sense of community it fosters. Taken as a whole Dyson's thoughts and writings are primarily about science as an instrument of human progress, but they are also equally about the role of history, poetry, literature and politics in making sure that science functions responsibly; when I was a somewhat zealous student of science in college, he was the first scientist who made me appreciate how important it is for a scientist to educate himself in the humanities. And never one to descend into unproductive hand-wringing, his writings glow with optimism and project a bright future for the human species, no matter how dismal the future might occasionally appear. I agree with his biographer Philip Schewe that far and beyond, Dyson will be best remembered as an original essayist. Over the past few years Dyson has become much more well-known in the public eye for his skepticism regarding climate change, a view made popular in a lengthy 2009 New York Times magazine profile. This was always unfortunate. Both his views and the article were blown out of proportion. In reality, as can be readily judged when you talk to him, Dyson's opinion of climate change is mildly proffered, moderate to a fault and in the best tradition of the same skepticism that has guided science since its inception. 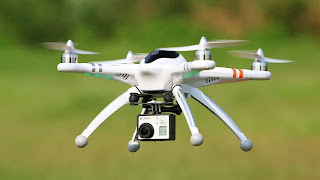 He disapproves of faith in computer models and of the zealous dogmatism exhibited by some climate change activists, and both these points are extremely well taken. Ultimately Dyson is saying something simple; that science progresses only when there is a critical mass of skeptics challenging the status quo. It's not about whether the skeptics are right or wrong, it's about whether their voices are drowned out by the consensus. One of his favorite quotes is the motto of the Royal Society, an institution established by freethinkers in the shadow of a heavy-handed monarchy: "Nullius in verba" - Nobody's word is final. Since our first meeting we have kept up a warm correspondence in person and over email. Every year when I meet him he inevitably invites me to have lunch at the Institute for Advanced Study and gives generously of his time; every meeting provides me with inspiration and ideas. He has recommended rare and underappreciated books by J. B. S. Haldane, H. G. Wells and P. M. S. Blackett which offered unique insights into science, war and the human condition. Among others, I in turn have gifted him books by Andrea Wulf on Alexander von Humboldt and by Peter Conradi on the tragic and brilliant wartime poet Frank Thompson, a fellow Winchester College student who he knew during his time there. As a role model of science and humanism, I hope Freeman continues to offer us his wisdom and insights, and I look forward to congratulating him on his next milestone. Happy Birthday, Freeman! The Galisonian view of science - named after historian of science Peter Galison - says that science is driven as much or even more by new techniques and instruments as by new ideas. Sadly most people have always placed theoretical ideas at the forefront of scientific revolutions, a view enforced by Thomas Kuhn's famous book "The Structure of Scientific Revolutions". But a study of the history of science shows that new tools have been as instrumental in opening up whole new areas of science as new ideas. In fact one may argue that ideas allow you to largely explain while novel tools allow you to largely discover new things. From the viewpoint of tool-based science, scientists like Faraday, Rutherford, Woodward, and Lamb are as important as Newton, Dirac, Heisenberg and Pauling. 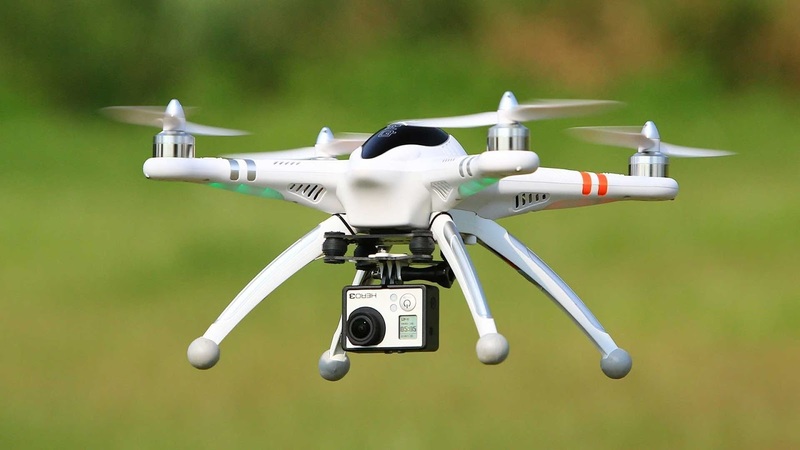 To this list of tool-builders and users must be added the name of Leroy Hood. Hood is one of the most important pioneers of the genomics revolution. Seeing far ahead of most biologists in the 1980s when he was at Caltech, he invented four tools that were to revolutionize the theory and practice of genomics: the protein sequencer, the protein synthesizer, the DNA synthesizer and the DNA sequencer. At a time when most biologists positively looked down upon technology development and engineers, Hood blazed new paths in combining chemistry, instrumentation and biology. His tools not only allowed biologists to do things better, but allowed them to discover new things which they hadn't imagined before. Luke Timmerman has written a valuable biography of Hood which would be of interest to anyone interested in the recent history of the gene. I picked it up encouraged by Keith's favorable review (http://omicsomics.blogspot.com/…/veteran-biotech-reporter-l…) and am glad I did. My only reservation is that Timmerman could have done a much better job embedding Hood's inventions in the bigger story of genetics and molecular biology. There were parts of the book where I thought the science could have been fleshed out much more, so if you are looking for a concomitant work of popular science along with a biography, this is not really it. Hood's essential qualities were ingrained during a vigorous upbringing in rural Montana. His father was a peripatetic telephone engineer who did not give praise easily. He and Hood's mother taught their children to be self-reliant, resilient and hard-working. Throughout his career Hood has been a force of nature, displaying these qualities to an unprecedented extent and leaving behind some of his more talented competitors by sheer tenacity and dedication. As he recounts, the most valuable class for him in high school was not math or science but debating. He was also his high school's star quarterback. Even now, at the age of 75, he runs 3 miles every day and does a hundred push ups. He has also combined great scientific talent with a passion for public speaking and entrepreneurship; through these skills he has raised hundreds of millions of dollars from universities, funding agencies and wealthy philanthropists and made millions of his own. He has given generously to the cause of middle and high school education. No obstacle has been daunting for him, and by any of the usual metrics his career has been stunningly successful; as his website points out, "in addition to his ground-breaking research, Hood has published 750 papers, received 36 patents, 17 honorary degrees and more than 100 awards and honors, and has founded or co-founded 15 biotechnology companies including Amgen and Applied Biosystems." Hood got his undergraduate and graduate degrees from Caltech along with an MD from Johns Hopkins. Caltech sought him out as an assistant professor right after graduation. Hood's early contributions were to immunology where he figured out the basis of antibody diversity. But soon he began to broaden his horizons and became one of the first biologists to truly appreciate the impact of new technology on biology. He had an amazing talent to spot big picture problems, drive himself mercilessly to crack them and recruit world class people to solve them. Using his unique skill set he built the first protein sequencer and DNA sequencer and licensed them out to the company Applied Biosystems. The DNA sequencer is at the very heart of the genomics revolution. Gene sequencing is no longer just a tool for faster and more efficient molecular biology, but it has transformed itself into a formidable instrument to explore stunning new domains of biology, from the creation of new organisms to the cracking of the genetic code for all kinds of diseases to the exploration of the world's biodiversity. Hood's work showed that not only can technology enable science but it can actually give rise to new science. Unfortunately Hood's grand visions and the size of his lab and research projects (at one point his lab numbered more than a hundred people) soon ran afoul of Caltech's desire to stay a small, tightly knit school. Very soon he had a falling out with the faculty. One of his students who is now the head of research at Merck was then a professor at the University of Washington. He persuaded the medical school at UW to invite Hood for a few lectures. The chairman of the department in turn persuaded Bill Gates to attend those lectures. Gates who had started taking an interest in biology in the late 90s was entranced by Hood and immediately agreed to endow a $12 million dollar faculty position at UW for Hood. Hood's moved to UW was accompanied by breathless press releases proclaiming that his appointment was one of the most momentous events in the history of the university. At UW Hood became the father of a new science: systems biology. He was no longer content to just explore genes and whole organisms, instead he wanted to bring about a completely unified view of biology by connecting atoms to molecules to cells, all the way to whole organisms and ecosystems. It was a grand vision, and one which only someone like Hood could pull off. Systems biology is now a mainstay of cutting edge biological science, bringing together biologists, mathematicians, computer scientists and other. But Hood got there first, being one of the first scientists to bring together interdisciplinary subject experts. Sadly it was here that Hood's failings become clear, and Timmerman pulls no punches in narrating them. 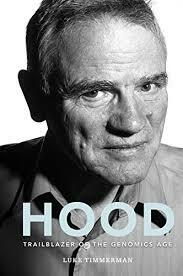 Hood was a big picture thinker, not a detail-oriented person. He left the day to day running of his labs to postdocs and research associates. More importantly, he was terrible at interpersonal relationships. He almost never took interest in his students' lives, never picked up the check when he "took them out" for lunch and regularly played favorites. He was not an unkind person, but he was simply too busy, driven to succeed and tone deaf to the everyday human relationships that make any endeavor successful. He was not above claiming credit for others' discoveries, not intentionally but because of his relentless drive to finish that simply left him clueless about such things. He rubbed people the wrong way at Caltech and UW and found even the generous support at UW insufficient for his systems biology vision. Predictably enough, when some of his key allies passed away, he had a falling out at UW too after he tried to sell them a plan for an independent new institute. Confident that his friend Bill Gates would fund it, he went to see Gates at Microsoft, only to be turned away with an icy dismissal (Gates: "I never fund things that I think are going to fail."). Undaunted, Hood poured $5 million of his own money into the institute. Personally too he faced a tragedy: his wife Valerie who he had married out of college succumbed to Alzheimer's disease. Since then, the Institute for Systems Biology in Seattle has become a thriving research institute that is at the forefront of investigating both basic and applied genetics. Hood continues to be a powerhouse, crisscrossing the world giving talks about how biology is going to revolutionize human life. The system's research may or may not help discover new cures for important diseases, but what's more important is the vision and accomplishment of one man in achieving all that: Lee Hood. Hood is a fantastic example of what happens when passionate tenacity for a cause, a deep appreciation of the impact of technology on science, a passion for entrepreneurship and a relentless pursuit of the big picture come together to create an explosive mix. In the DNA sequencers that are humming softly in hundreds of thousands of industrial and academic laboratories and hospitals around the world, reading and rewriting the code of life, Lee Hood's legacy keeps humming on too.